Dr. Group's recent blog posts. View this email in your browser. The immune system is a complex network of cells, tissues, and organs that protect your body from pathogens; and, this time of year, you’ll hear a lot about it. Think of it as a personal shield. Its job is to protect you from harmful organisms and toxins that can have a negative effect on your health. Your immune system is made up of two parts. One is your innate immune system, which protects you against infections and helps wounds like cuts and bruises heal. The other is your adaptive immune system, which adapts to protect you from viruses like the flu. Together, these form a complex system of cells, tissues, and organs that protect your health. When your immune system is supported, its two components work together in harmony to protect you from illness. But, like any system, it can be compromised and fail. Some people are born with weak immune systems. Some are also born with unregulated, sometimes called overactive, immune systems. 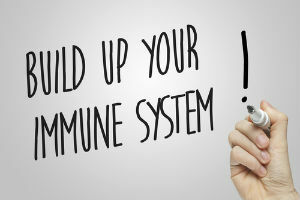 Even if you start out with a perfectly healthy immune system, disease, allergies, and poor nutrition can weaken or damage your immune system. This can cause your immune system to actually attack the body it is supposed to protect – leading to a plethora of negative health conditions. White blood cells, aka leukocytes, are the foot soldiers of your immune system. They're the ones that fight viruses, bacteria, and other harmful organisms. These white blood cells, along with red blood cells, form in bone marrow. Once formed, they enter the lymphatic system, one of the major components of the immune system and part of your circulatory system, to help keep it fight disease. Along the way, these cells receive help from lymphatic organs like the tonsils and thymus. These organs supply antibodies, the special forces of your immune system that target viruses. Your immune system works constantly to prevent a host of invaders from doing damage. It does this by capturing these organisms and isolating them before they are able to infect your body. Once harmful organisms are captured, your immune cells take them to your spleen. There, the spleen, located in the upper left region of the abdomen, filters out the unwelcome organisms from the blood for removal from your body; as well as dead or damaged red and white blood cells. In autoimmune conditions, the immune system attacks the healthy tissue it's supposed to protect. Currently, there are more than 80 known types of autoimmune diseases. The most well known examples are type I diabetes, rheumatoid arthritis, and lupus. For anyone with these diseases, the best approach today is to work with your natural physician and nutritionist to formulate a plan of action. The connection between nutrition and immune health is still being researched, but we do know that vitamins like A, B2, B6, C and D play an integral role in how your immune system works. Minerals like selenium and zinc are also important. Environmental toxins are especially dangerous because they easily attach themselves to hormones and other important molecules in your cells and require a lot of energy to remove. On top of that, they prevent vitamins, minerals, and other nutrients from doing their job. When this happens, your cells don't get the nutrition they need and they may slow down or die. A weak immune system is a real problem for people as they get older. Poor diet, lack of exercise, and the natural changes associated with aging can disrupt how well the immune system works. All these factors increase the risk of developing a weakened immune system and infections. Researchers continue to study the triggers for an overly aggressive immune system. In this condition, when immune cells encounter a harmless allergen or a substance that needs to be removed, they attach an immune cell called a mast cell to the invader, causing an unnecessary immune response. A response like this damages tissue and organs and can lead to serious diseases. In some cases, it could be pet dander, residual pesticide on an apple, or exposure to chemicals in latex or plastic. Sensitivity to gluten is another example. The immune system fights an abundance of harmful organisms and toxic chemicals found in food, water, and air. And, it needs proper support in order to function its best. Here are four ways to support and boost your immune system. Some foods steal energy and destroy your immune system. Foods to avoid include processed foods and those with unnatural chemicals like added flavorings, refined sugars, and neurotoxins like MSG. Avoid soda, which is one of the top five foods that destroy your immune system. Instead, look for organic fruits and vegetables that are rich in antioxidants, B vitamins and vitamins A, C, and D. Some excellent choices are blueberries, garlic, kale, broccoli, spinach, lemons, eggplant, pomegranate, and avocado. For fruits and vegetables, it's important to buy organic. If organic isn't available, give your fruits and veggies a good scrub to eliminate removable residue. Raw, vegan foods are ideal, but if you do choose a vegan lifestyle, make sure to include extra B12 in your diet. Like it or not, exercise is one of the best methods to boost immune system vitality. It improves your overall health, increases oxygen intake and lung capacity, and gets your metabolism going. On top of that, it promotes a healthy heart and good circulation. Find the best exercise routine for your lifestyle; keep in mind that consistency is a must. Stress does more than make you anxious or angry, it aggravates your immune system and increases inflammation. Look for ways to reduce stress at home and at work. One way to avoid stress is by not holding onto problems. Get it out, talk to someone who will listen. Meditation is another great way to manage stress and can help you reach mind and body harmony and mental discipline. Today, even natural foods do not provide all the vitamins, minerals, and nutrients we need. Over-farming, fertilizers, and pesticides have drained much of the nutrient content from the land. As organic farming picks up, nutrients will return, but it will take time. But, even before the soil was depleted of nutrients, alternative health practitioners recognized that people needed herbs and tonics to supplement their diet and support their health and immune system, especially as they aged. Here are a few of the best. This adaptogen helps the body respond to stress and keeps your immune system functioning normally. High in vitamin C, lemon is one of the most potent fruits you can take to fight illness. Many people recommend taking the juice of one half lemon in a cup of warm water every morning to encourage good health. Aloe Fuzion contains the highest quality, most bio-available, most immunomodulatory, and simply the most acemannan of any aloe vera product available. An immunomodulator is a substance that helps regulate the immune system. It's useful in situations where the immune system is “overactive” and inconsistent. At Global Healing Center, we believe in a complete approach to health. This includes making good dietary choices, regular exercise, regular cleansing, and nutritional supplementation where needed to help your body function normally. When it comes to diet, choose raw, organic fruits and vegetables, and avoid saturated fats. Exercise regularly. Get enough sleep, at least 7 hours a night — 8 is better. If you choose to drink, do so moderately. Don't smoke. Having said that, here's what you absolutely must do…spend time with friends, laugh, take time to relax and do activities you enjoy, and make your home a clean, calming place to live. How do you support your immune system and embrace healthy living? Leave a comment below and share your experiences! Winans B, Humble MC, Lawrence BP. Environmental toxicants and the developing immune system: a missing link in the global battle against infectious disease? Reproductive toxicology (Elmsford, NY). 2011;31(3):327-336. doi:10.1016/j.reprotox.2010.09.004. MedlinePlus. Aging changes in immunity. Bany J1, Siwicki AK, Zdanowska D, Sokolnicka I, Skopińska-Rózewska E, Kowalczyk M. Echinacea purpurea stimulates cellular immunity and anti-bacterial defence independently of the strain of mice. Pol J Vet Sci. 2003;6(3 Suppl):3-5. Georgetown University Medical Center. Oregano Oil May Protect Against Drug-Resistant Bacteria, Georgetown Researcher Find. Elizabeth Lissiman, Alice L Bhasale, Marc Cohen. Garlic for the common cold. DOI: 10.1002/14651858.CD006206.pub4. Valentina Taverniti, Simone Guglielmetti. Health-Promoting Properties of Lactobacillus helveticus. doi: 10.3389/fmicb.2012.00392. The post What is the Immune System? 4 Natural Ways to Boost Wellness appeared first on Dr. Group's Natural Health & Organic Living Blog. Join the conversation and voice your opinion! Comment on this Article Now! Copyright © 2015 Global Healing Center, All rights reserved. 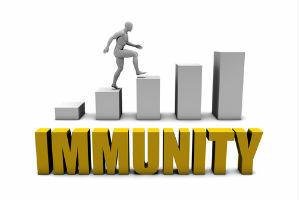 You are receiving this email because you signed up to receive daily updates on Dr. Group's blog posts. Hurry Fast! Ends at Midnight. The #1 organic gift to give this year. 2 things for this weekend!